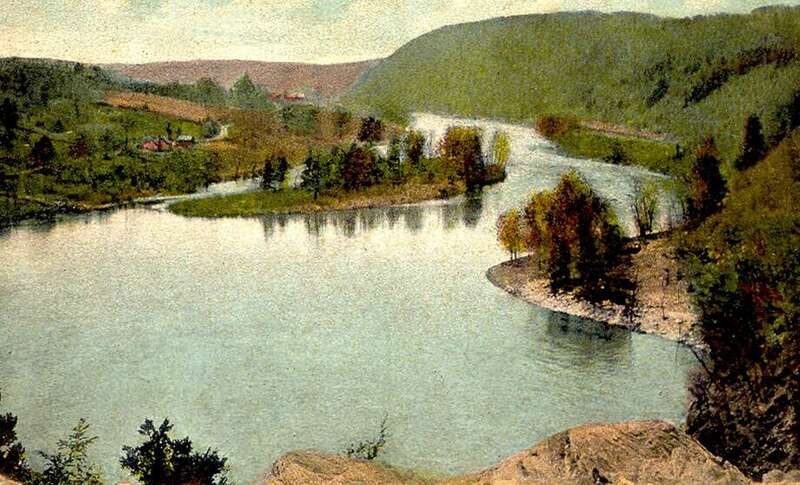 “The Cove” below Lover’s Leap, on the Housatonic River, predating Lake Lillinonah, at the intersection of the towns of New Milford, Bridgewater and Brookfield, postcard published by Frank E. Soule, of New Milford, and sent Aug. 10, 1915, from Still River Station by Papa to Master Nelson Frederick Noreu, 150 Seabright Ave., Bridgeport, Conn. West End Sta. Papa writes: “Rec. Letter OK. having some rain and thunder and some swimming. not many fishes though only a few white fish hardly fit 2 eat Love & all Papa.” If you have a “Way Back When” photograph you’d like to share, contact Deborah Rose at 860-355-7324 or drose@newstimes.com.